Make wrapping presents quick and easy with these durable, one-of-a-kind gift bags. Featuring 4 unique designs, you'll love handing these bags out as much as people will love receiving them. 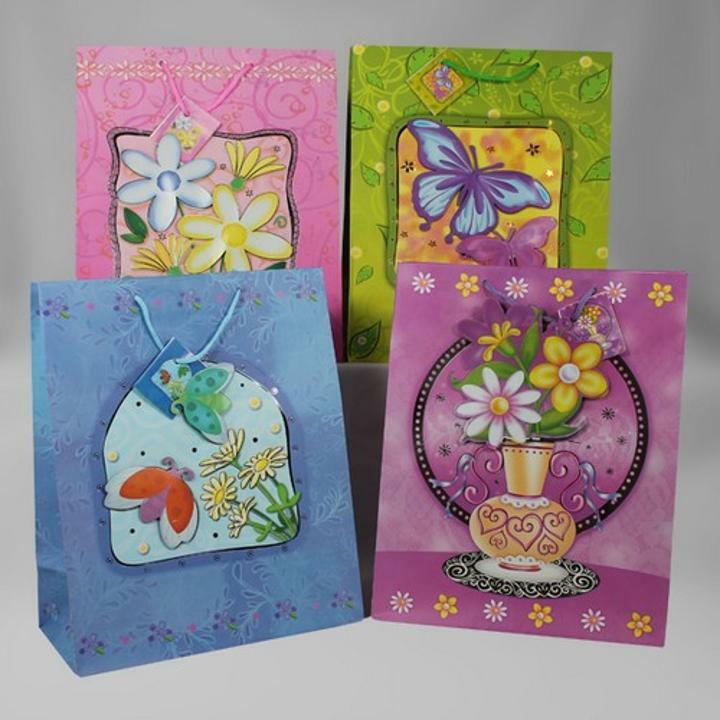 With innovative features including foil hot stamp and pop-up pictures and designs such as flowers, daisies and butterflies, these bags are sure to be a hit. Pack contains 4 medium gift bags each. 8.75 in. x 7.25 in. x 4 in. L: 8.75 in. W: 7.25 in. H: 2.0 in.